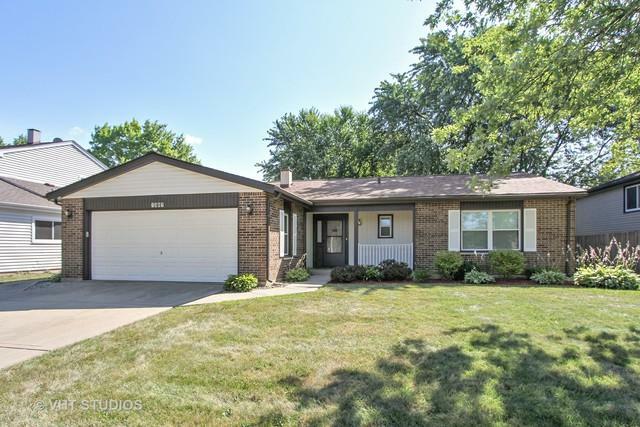 Move in Ready Buffalo Grove Ranch Home! Every room has been painted a beautiful and neutral 'paper white' tone with bright white baseboards. Brand New contemporary Shaw carpet with R2X stain guard installed throughout. Brand new laminate floors in the foyer and kitchen. Most light fixtures have been updated as well. No 'steps' ranch offers a Bonus Room with vaulted ceilings, wood beams and beautiful brick fireplace. 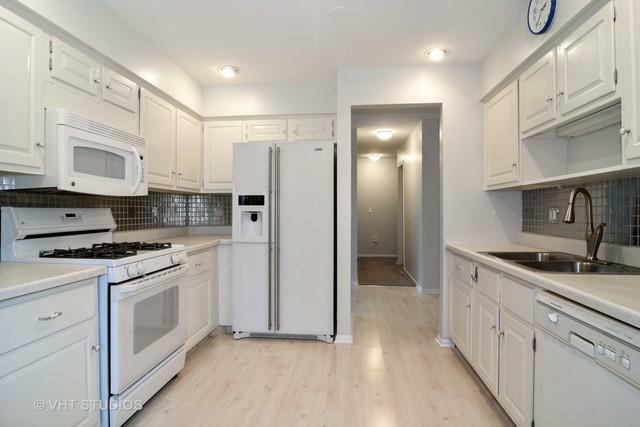 Open and spacious kitchen with an eating area. Sliders off the bonus family room lead to a private back yard with huge concrete patio, great for outdoor entertaining. Enjoy the sunsets from the western facing front porch. Attached Two-Car garage leads to the laundry/mud room. Total roof replacement in 2015. Furnace 2015/AC 2014, brand new H2O heater. 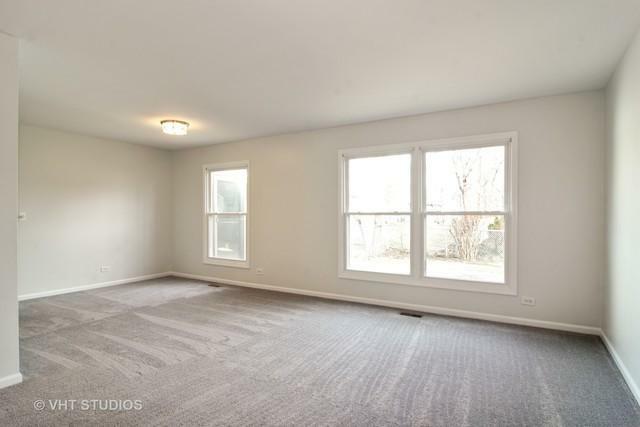 Just steps to Buffalo Grove Park Districts brand new Mill Creek Park!